Tiffany Foxx is tha bizness!! She's just that girl!! Female rapper - Tiffany Foxx has released a brand new mixtape titled 'Yellow Tape'. Hailing from St. Louis, the rap phenom discovered her talent from a young age. Alongside two other talented young females - Scar La Don and Brooke Holladay - they formed a rap group called June 5th in 2007. But now as a solo artist, Tiffany Foxx has worked with artists such as Nelly, Akon, Jim Jones, Snoop Dogg, Eric Sermon and others to name a few. Artist to the baddest producer - Bangladesh, Tiffany Foxx is one of the most promising new artists out. 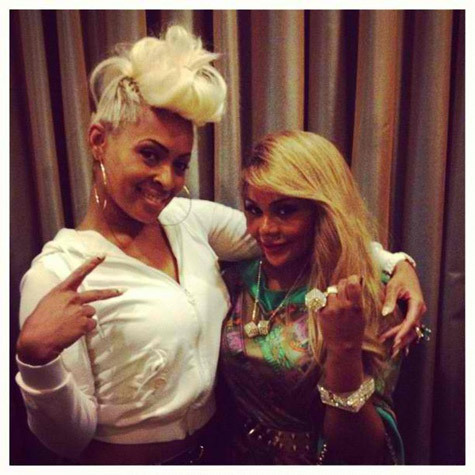 She even teamed up with the Queen B Lil Kim for a track titled 'Jay-Z' paying homage to the Brooklyn icon. Both female artists served us with some of the hottest bars; I'm loving this sound of music. You can download and listen to Yellow Tape mixtape that features Lil' Kim, Shawty Lo, Lola Monroe JaiJai and more below as well as 'JAY-Z' featuring Lil' Kim.